Can I use GWP for general investing? Not at this time. GWP is designed to serve retirement savings only. However, additional savings options will likely be added in the future. Why don’t I see a link to my advisor’s GWP site? Only NWFA advisors who choose to utilize the GWP platform for their accounts are listed. If your advisor is not listed, please contact him or her to discuss your options. Why was I unable to proceed with the enrollment? If your responses to the Investment Profile Questionnaire (IPQ) indicate that you are very conservative or very aggressive in your risk tolerance, you will not be able to proceed with enrollment. GWP is intended for individuals without extremes in risk tolerance. You can adjust your responses to reflect a more moderate risk tolerance which will enable you to enroll. You will also be ineligible for enrollment if you are 62 years of age or older. What will a GWP account cost me? All GWP accounts are advisory accounts in which your fee is based on the value of your assets rather than commissions. While still offering advisor guidance on your investments, GWP offers lower fees in relation to full-touch, offline advisory services. Your proposal will outline the fees applicable to your account. If you have questions pertaining to the fee prior to enrolling, please reach out to your advisor. What types of accounts can I set up through GWP? GWP account types currently include Traditional IRA, Roth IRA and Rollover IRA. Can I set up a GWP account for my family or only myself? Yes, if you have two or more accounts, you can “household” these accounts within GWP which will be managed to a single investment objective. 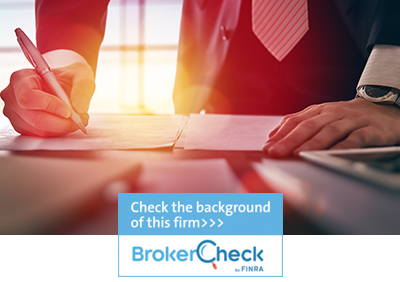 Once I complete the Investor Profile Questionnaire (IPQ) online, how do I receive a proposal? Your GWP proposal is automatically generated and presented to you online as soon as you complete the IPQ. Who manages the GWP investment models? GWP uses LPL Research investment models spread across three major ETF sponsors to create and manage a diversified portfolio. GWP electronically monitors your account daily and rebalances it when needed to help you stay on track. With GWP, do I still need to make an appointment to meet my advisor for an annual review? No. GWP makes your annual account review quick and easy. You will receive an email when it is time for your annual review which you can complete online. Your advisor will see any updates you make to your profile and will contact you if necessary. Who can I contact if I need help with technical or operational issues? If you encounter any technical issues with your online account or have any questions related to setting up or maintaining your GWP account, support representatives are available by phone from 8:30 am to 7:30 pm ET to assist you at 1 (877) 202-1850. 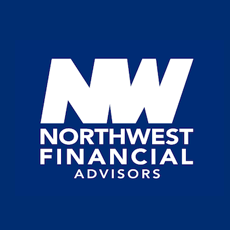 If you would like investment advice, please contact your NWFA advisor. For a complete overview of the GWP program, see the “Guided Wealth Portfolios – Start Investing for your Future Today” brochure. To get started, view the “Getting Started with Guided Wealth Portfolios” guide.